A sampling from my summer collection of hand fans. With our Dallas temperature consistently hovering around 109 degrees, I can’t imagine life without this simple accessory. 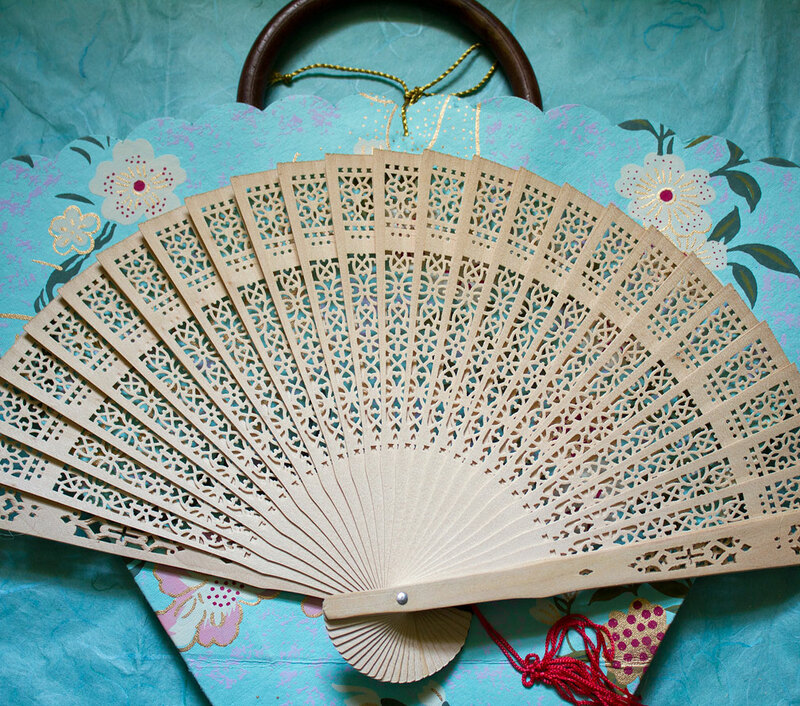 Over the years, I’ve collected an interesting group, despite the fact they are hard to find — that is if you’re looking for something more sophisticated than the Asian souvenir type of fan. How can a basic and beautiful tool be so under appreciated? The Asian sandalwood fan is my everyday choice. They are a bit fragile, but easier to find, very affordable, and have a wonderful scent. Occasionally I come across a stinky one that has been unnaturally enhanced and requires a year to calm down before it can be taken out into public. If you’re in Dallas, World Market has a fun selection of paper souvenir types of fans along with the sandalwood variety.